The shares of Starbucks Corporation (NASDAQ:SBUX) rose 2.46 percent closing at $81.18 after the company announced improvement in the sales of gift cards. The recent data shows that gift card sales were up 16 percent during the holiday season in the U.S. The world’s largest coffee chain had an excellent holiday season and the company sold 37 million gift cards to the coffee lovers. The coffee maker announced that the customers loaded in excess of $1.1 billion on their gift cards during November 3 to December 25 in the United States and Canada. The number of gift cards sold was significantly higher with only 32 million cards sold during the same period last year. For more than a decade, Starbucks Corporation (NASDAQ:SBUX) has remained the favorite place for its lovers to enjoy a cup of coffee. It has 12,000 cafes in the U.S., which makes it an easily available and accessible option for the customers. According to the last year figures, more than $1.4 billion were loaded on gift cards between October and December with the Canadian and American customers loading up to $1.3 billion. The coffee maker released a special Ultimate Starbucks Card this year with Starbucks for life offerings with retail value of $5,000 and 30 years validity. Starbucks Corporation (NASDAQ:SBUX) has released only 14 such cards including 10 for the U.S., 3 for Canada, and 1 for U.K customers. 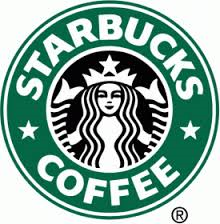 Do You Have Starbucks Corporation (SBUX) On Your Portfolio?